Because of this new focus, revenue from online fundraising grew by 14% in 2016, totaling $28 billion, according to NP Source. That’s a lot of funds to work with. With so many online sources for online giving, your nonprofit will need to establish an effective online strategy to maximize your donation outreach efforts. Let's get started to begin building your strategy today! 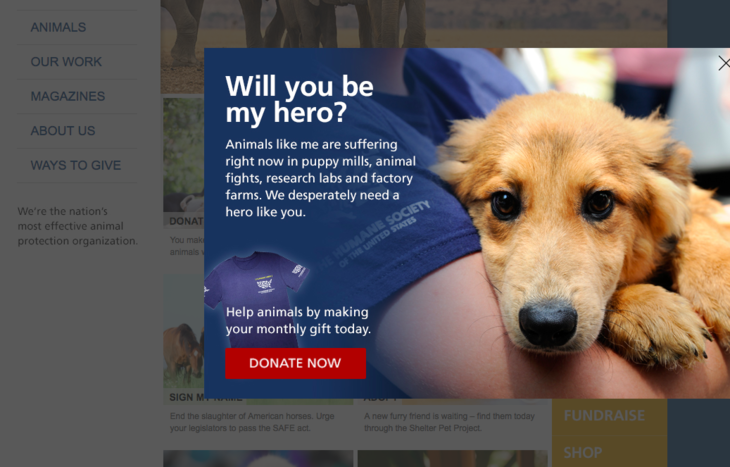 Online donation pages are no longer optional for your nonprofit's online donation strategy. According to 2018 online giving trends, 54% of donors prefer to give with a credit or debit card. Make sure you put some thought into your online donation pages to appeal to these donors. Streamline your donor's experience. It can be tempting to ask donors to fill out a lot of questions during the donation process to build up their donor profiles in your CRM. However, the opposite is more helpful. You can gather information from other sources. Only include the required information in your donation forms. Limit this information to a name, contact information, and payment. Create an eye-catching call-to-action. The call-to-action is one of the most important aspects of your donation page. It is the final submission button that people press to complete the donation. When you design this call-to-action, use active language such as "Donate Now" or "Submit." Also try adding a pop of color to the call-to-action to make it stand out on the page. Brand your donation page to your site. Use consistent branding between your website and your online donation page. People who already trust your organization will be more comfortable donating to a donation page that has the same colors, logos, fonts, etc. as the rest of your website. Consistency is key to maintaining trust between site pages. Include social sharing options to the page. People will appreciate the chance to share their support, so incorporate that desire directly on the donation page. Let people show how much they care by sharing their donation on their social media accounts. This will also market your organization to their followers and act as an outreach opportunity for new donors. After incorporating these tips, test out your system to make sure it is user-friendly for your donors. You can even set up a mini focus group to perform this test. Ask a few friends to try and make a $1 donation through your site and collect their feedback. What seemed easy to do? How long did the process take? Use their feedback to improve the process. Social media grows more and more every day. By 2021, it's estimated that 3.02 billion people worldwide will use social media networks. With these numbers growing year after year, it becomes more and more important for nonprofits to keep up with their social networks. Social media can be a valuable tool for any organization, but only when used strategically. One of the most common mistakes made by nonprofits is opening up too many social media accounts than they are able to maintain. Your social media pages are like an old car; they need regular maintenance in order to run effectively. Consider it this way: When someone is looking for information about your nonprofit, they may search your Facebook for more information. If you don't regularly update your Facebook, that interested person may leave your page and never return. On the flip side: If you regularly updated your Facebook page with pictures from your last event, upcoming campaigns and projects, and past victories, that interested viewer may become a donor after looking at your social media! Only open accounts on the number of platforms you're confident that you can regularly update. Post at least once a week to appeal to the billions of users on these networks. As your nonprofit grows, open accounts on more platforms to appeal to more social media users. Promotions for #GivingTuesday or other holiday giving opportunities. Pictures from your organization's events, parties, or charity sites. Surveys for interest in prospective projects. Crowdfunding pages to encourage direct donations. Targeted actions in order to advocate for your cause. Social media can be used for all sorts of functions in your nonprofit organization. It can help you keep your supporters informed and build relationships with them. Make sure you have access to tools you need to keep up with your social media. Salsa Engage's social media marketing software allows you to schedule posts in advance. Plus, when you can post to multiple platforms at once, you can maintain more platforms with less effort! Your outreach strategy is incredibly important for informing your donors as to the donation opportunities available to them. After all, it's impossible for supporters to donate if they don't know how or where to do so. According to M+R Benchmark's 2018 study, digital outreach channels are more important than ever before. One of the easiest and most effective ways to direct donors to your online giving page is through email. Email lists have grown by 11% in 2017 and the revenue from email outreach reached 28% of the total online giving. Therefore, telling people about donation opportunities through email outreach has proven to be a key factor in nonprofit fundraising. Send a regular email newsletter to your supporters celebrating the recent accomplishments of your nonprofit along with announcing your upcoming projects. Explaining the accomplishments will build confidence in your organization while explaining upcoming projects excites prospective donors. Personalize every email sent to your donors. Address the email as "dear [supporter's name]" as opposed to, "To whom it may concern." Fundraising and marketing software with email outreach capabilities make it easy to auto-populate your supporters' names for efficient mass email planning. Include a call-to-action button on each email you send. Include a button reading "Donate now!" or "Make a difference today!" to call your donors to make an immediate online donation from your email. This direct link to your online donation page makes it easy for supporters to give while inspired by your email's story. Another best practice to keep in mind when formulating your emails is to make sure what you send is available to be read on mobile. Think about how you check your email: is it from your laptop? Tablet? Smartphone? More and more people are using their phones to check emails and submit donations. Online mobile donations to nonprofits have increased by 50%! Make sure your email outreach can be read both on mobile and on desktops. No matter which device your supporters are using to check their emails, they should be able to get a clear view of the message and images you've included. Luckily, software like Salsa Engage help you send mass emails to segmented supporter groups with mobile-optimized messaging capabilities. Set up scheduled marketing emails to your supporters to tell them about the upcoming opportunities to donate and make a difference with your nonprofit. As discussed in the previous section, mobile transactions were up 50% in 2017. Therefore, not only should your emails effectively appear on mobile devices, but every digital marketing strategy your organization employs should be optimized for mobile. Online donations for nonprofits should not be contingent on the device used to submit the donation. Image resize and text adjustment. Make sure your images don't make it difficult to read the text on your fundraising page. Choose fundraising and communications platforms that are responsive so that important information is just as readable on mobile as on desktop. Text on images. Remember to check mobile to make sure you can read all of the text that is written on your images. People might miss valuable content otherwise! Also remember to add alt text to these images so that if something goes wrong and the image doesn't appear, your reader still has context. Text spacing. The last thing you want to do on mobile is make your readers scroll from side to side to read all of your text. Make sure to choose fundraising platforms that enable text to adjust width to fit the size of the screen. In addition to ensuring that your regular outreach and communications are optimized for mobile, try creating a specialized mobile fundraising strategy. Mobile optimization serves an important place in your mobile fundraising strategy, but it's not the entire purpose of it. Your strategy goals should revolve around specifically targeting audiences to donate via their mobile devices. No matter what fundraising page or donation opportunity you're shedding light on, be sure it's optimized to show up well on a mobile device. This is especially important when you're picking out new software solutions for your nonprofit. 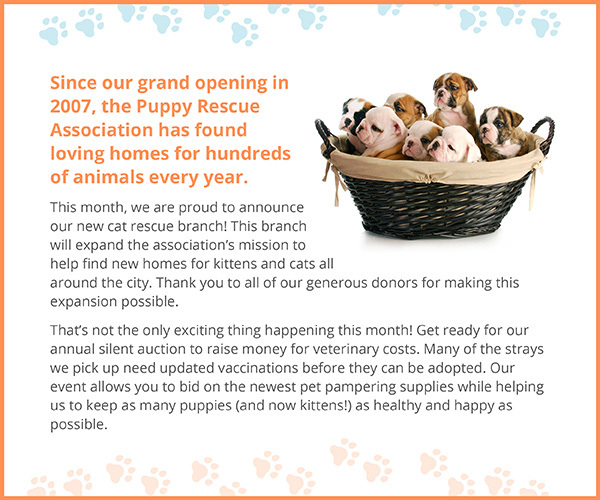 Check to see if their fundraising pages and digital communications are responsive to mobile. For example, Salsa's online advocacy petitions are all mobile optimized and are a great way to get emails for future donation outreach. Your nonprofit creates a peer-to-peer fundraising campaign page explaining why you're raising money. You recruit supporters to also create separate fundraising pages for your campaign. These supporters network to their online friends and family who donate to the campaign. Peer-to-peer fundraising is valuable because your nonprofit is not only raising money for your campaign, but also reaching out to a new network of donors. Another peer-to-peer fundraising best practice used to more effectively collect online donations for nonprofits is to create a special event for your campaign. Use your event as either a kick-off or a conclusion to your peer-to-peer fundraising campaign. This way, you can use your event to further engage donors for the upcoming drive or to keep them engaged in the planning process. Using Salsa, you can host your peer-to-peer fundraising campaign and plan for the campaign event in the same software system! This streamline of efforts will lead to a more well-managed (and more successful) campaign for your organization. They say that a picture is worth a thousand words. But the truth is that only some images are worth a thousand words. Some are worth more and others are worth less. Make sure you use the images that will be most useful to your organization as you design your fundraising and communication pages. These images are designed to make your supporters feel something. They may look at the image and smile, or maybe they'll feel sad; maybe they'll want to learn, or be taken by surprise. No matter what emotion you're going for, make sure you do it right with the best images. Those you are helping. Whether you are a nonprofit aiming to help animals or less fortunate people, images of them will evoke a sense of sympathy in your supporters (as well as give a face to your cause). This is a great tool to use while raising money for your campaigns. Past fun events. If you are hosting an event to raise money, you can market the event to your supporters by including images of past events of a similar nature. For instance, if you host an annual fundraising event, post a descriptive image from last year on this year's registration form. Your supporters. These images of happy helpers are particularly helpful when you are looking for volunteers to work at an event or to create a peer-to-peer fundraising page on behalf of your organization. 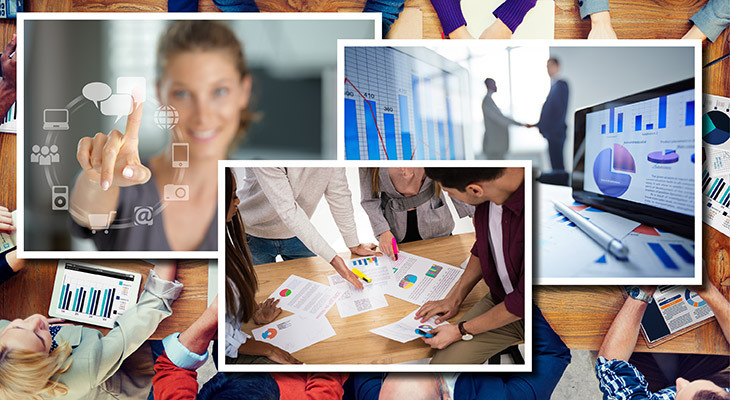 Be strategic when you include images on your fundraising and communication pages. Think about who your audience is and what emotion you want them to feel when they look at the information. Then, you can move on to the technical aspect of images. First, make sure your images have the proper permissions. Ask your supporters or those featured if you can use their image for your campaign. If you use a stock image, be sure it's open-source. You can get into a lot of trouble for not having the proper permissions for the images you use. Especially if you'll be promoting it as much as you will your fundraising pages. Next, make sure the images will make the best impression as a part of your digital communications strategy. This means the images should be clear, not blurry. Blurry pictures tend to looks less professional than clear, well-placed images. Your images should also be sized properly. Make sure they are the size you want them to appear on the screen. Then, compress them so that the files aren't too big (but not compressed too much or else they will blur!). Large files can slow down the online page, which will lead to more people abandoning their efforts to donate. Pop-ups get a bad rep. Contrary to popular belief, pop-ups are effective in securing donations or contact information and don't scare donors away, so long as they're tasteful. Of course, too much of any good thing can become a bad thing. This is why pop-ups should be used sparingly on your website. Don't ramble. Your pop-up should contain very few words, but a clear and concise call-to-action for people to follow. Trigger the pop-up at the best time. When you wait 30-40 seconds to trigger the pop-up, you'll likely see a higher conversion rate than those who don't wait. Vary the pop-up based on platform. Create different pop-ups for mobile and for desktop. Specializing for the screen size will make the pop-up more appealing for more people. If your organization doesn't want to directly link to the online donation page through your pop-up, that's ok! You can also use this as a lead capture by offering e-learning opportunities (such as an ebook) in return for their email address. Your donors rely on you for more than their tax deductions. They also rely on you to make the first move in establishing a relationship with them. This works out well for your nonprofit because engaging with donors in this way tends to increase your donor retention rate. Online donations for nonprofits tend to be worth more from donors who have an established relationship with your nonprofit as opposed to those you contact using cold outreach strategies. Research suggests that donors prefer to receive information from short videos, blog posts, and emails. If you are creating a video, we suggest keeping it to a bite-sized piece that is easy for donors to digest. Try to keep it under two minutes long so that it is quick and engaging without rambling on for too long. Use your blog to update your donors about your latest campaign.You may use this as an opportunity to show your donors how well the campaign is doing while also appealing to supporters who have not given yet. Be careful when writing this post so that it might appeal to both audiences. Send emails about important goings-on in the realm of your mission. For example, if data comes out about the number of abandoned pets from the last year, an animal shelter might send an email informing people. When you directly communicate with donors, create groups to which you will send the information. Appeal to that group with different strategies in your message. For example, use a button call-to-action in an email with donors who prefer to give through an online donation page, but a text-to-give number to those who historically preferred that channel of giving. Salsa CRM has 16 pre-built groups, plus the ability to customize your own so that your appeals to donors can directly relate to their interests and historical interactions with your organization. Share valuable content with these donors to strengthen your relationships and appeal for future donations down the line. There are two types of trends you should be on the lookout for to boost online donations for your nonprofit. The first type of trend is popular movements in the news that directly relate to your organization's mission. For instance, if something happens in the news regarding the laws around pet adoption, nonprofits focusing on the adoption process might decide to capitalize on the additional promotion. One place to find this type of information is on Twitter. Salsa's social listening feature make it easy to see when donors mention your organization on their social media page. From there, you can follow the trends that people often tag you in or use your set hashtag! The second type of trend you should look for is digital trends in methods of giving and communication. With constantly advancing technology, the trends in online giving are also changing regularly. Keeping an eye on the trends can help you to adjust your fundraising strategy to appeal to the preferences of the masses. Online donation pages are common enough to be expected from interested donors. Nonprofits should feel obliged to create one on their site. Peer-to-peer fundraising pages are a key way for donors to get involved with fundraising, so hosting one of these campaigns is important to secure online donations for nonprofits. #GivingTuesday is gaining traction and can launch your year-end giving campaign because it is well-known among the nonprofit community. When you know what's going on in the field of your nonprofit, you can more easily appeal to the masses and push for the popular giving methods. While one-time gifts (especially large gifts) are an incredibly important asset to your organization, not everyone can give bulk amounts of money at once, even if they want to. However, there is an option for those who may prefer to give that large donation over a longer period of time! Recurring donations appeal to donors who can give small amounts every month or week instead of a single donation. In some cases, recurring donations end up being worth more than the single donation! Plus, they provide steady income for your nonprofit. Consider this example: Donor #1 gives $100 to your organization. Donor #2 signs up for recurring donations to give $10 every month for a year. Donor #2 ends up giving $120 to your organization! While this is a small-scale example, it show the impact of recurring donations for your digital fundraising plan. Include a recurring donation button on your donation page to make this option available to anyone who is interested. Then reach out to donors who may be interested and tell them about the recurring donation option. Recurring donations aren't for everyone, so you'll want to segment your donors and market the donation opportunity to the group who will be most interested. Make it available for everyone, but take the extra step to reach those who are most likely to participate. Invite donors via email, mention the program on your website, and post about it on social media. 91% of donors report that NGOs effectively express their gratitude for donations. This means that those who don't effectively express their gratitude will stick out in the crowd! Don't be that organization. Have effective methods to recognize and thank your donors and supporters for their contributions to your organization. Send out emails or social media blasts when you meet or exceed your campaign goal. Thank your donors for being a part of your success. Feature a different donor every week or month on your social media page. This personal touch will make that featured donor feel special and encourage others to get involved in hopes of being picked. Send handwritten thank you notes to major donors. There's no better way to say "thanks" than with a handwritten, personal letter. This method can go a long way. Set up a donor recognition wall to build a legacy for your donors and inspire others to give. Public recognition on a plaque or on your website encourages more people to get involved. Host an appreciation event for your donors. Provide lunch or dinner and get together to mingle to strengthen your relationship with these donors. Donor recognition shows your donors you care and that you're thankful for all of their hard work on your behalf. Plus, immediate recognition is a great time to provide tax receipt details for your donors to use for their deductions. Salsa's automated acknowledgement emails make it easy to thank donors for their contribution and to give them the tax information they need for their deductions right away. In addition to thanking your supporters for their hard work, you need to tell them what their contribution is accomplishing. Regularly update your supporters with the new things happening at your nonprofit. Your blog. Use your blog to draft longer, more detailed stories about the good work your nonprofit is doing. This is your chance to tell donors about personal encounters and detailed information about how you've made a difference. Social media. Social media is the best place for quick updates or videos. You may choose to link people back to your blog so they can read the full story. But your Facebook, Twitter, Pinterest, etc. platform shouldn't ramble on too long. You can even push for online donations for your nonprofit while updating them about with the most recent information. Include a "donate" button as a call-to-action so that your donors can continue to help you make a difference! Salsa Engage's fundraising and marketing tools make it easy to streamline data from your marketing outreach to your fundraising pages and your interactions to your CRM. Keep all of your data in the same system to stay organized on your end. Driving online donations for nonprofits doesn't take a rocket scientist. All it takes is a good strategy and a motivated team. Armed with these 12 tips, you'll be able to develop a strategy to drive more online donations than ever before.